Mr. G's musings: I'd LIKE to STAY HERE in South Africa. 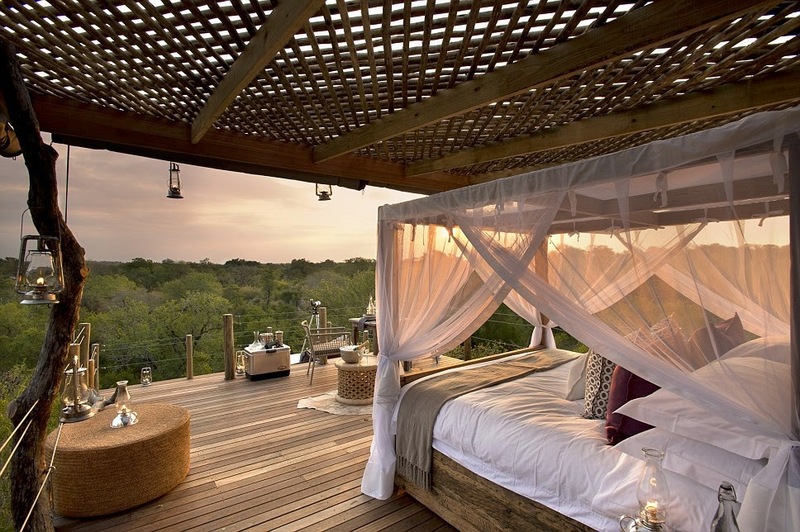 IN a tree house. 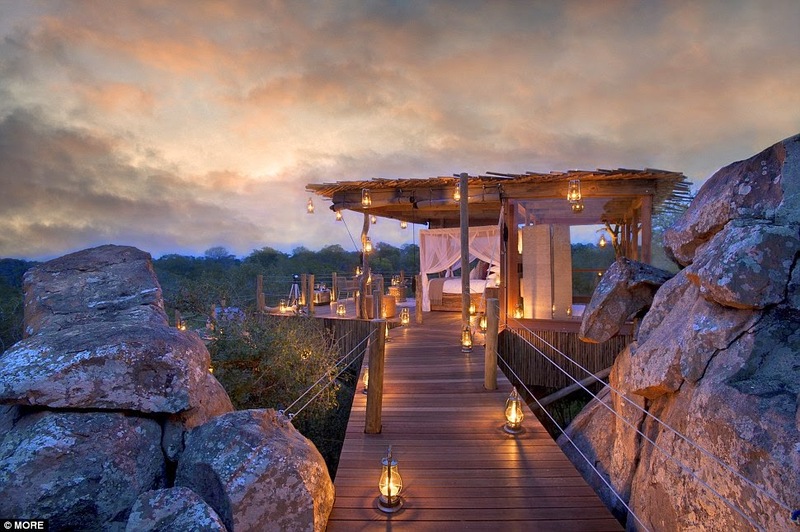 I'd LIKE to STAY HERE in South Africa. IN a tree house. My only real fear is that serpents could someone make there way up into the treehouses. But for that, can you imagine what it would be like to sit in this rudimentary splendor watching the life the desert pass below you. Maybe you could pet a giraffe on the head. Or feed an elephant a banana. Or rut amongst the rhinos. Can snakes climb walls or trees or posts? I would hope these have been snake proofed? 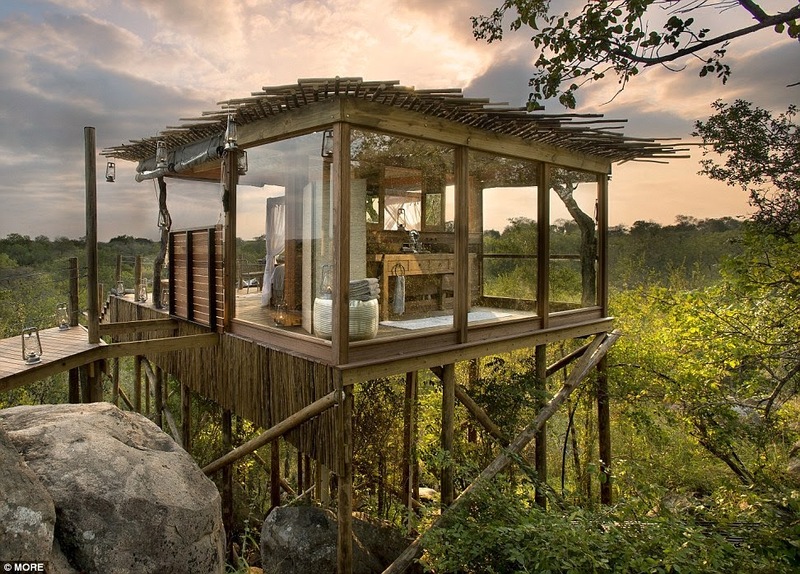 A trio of strikingly beautiful tree houses on the Lion Sands Game Reserve in the heart of South Africa's safari land, offer brave guests the chance to sleep under the stars, with wild animals lurking below. The 645sqft Kingston is the largest of the three and features a shower, and guests are offered champagne dinners and sunset massages.